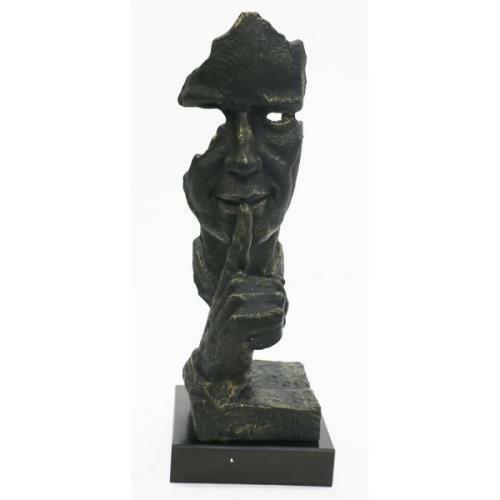 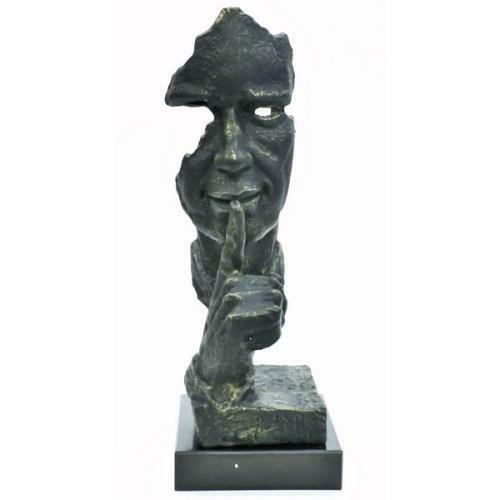 The modern art sculpture with the title Silence is an abstract figure that was created as homage, the amazing Surrealism artist. 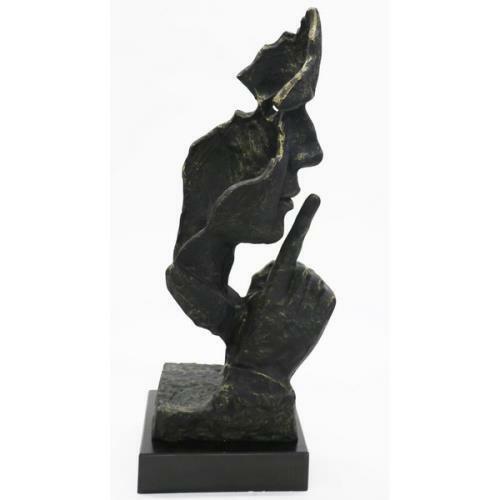 Silence is a simple designed sculpture of a face that is designed like a mask and asking for silence by its raised index finger. 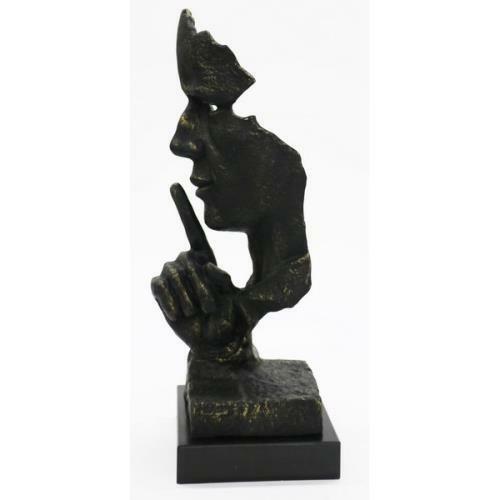 This modern bronze sculpture was made of 100% finest bronze and was affixed on a solid base made of marble. 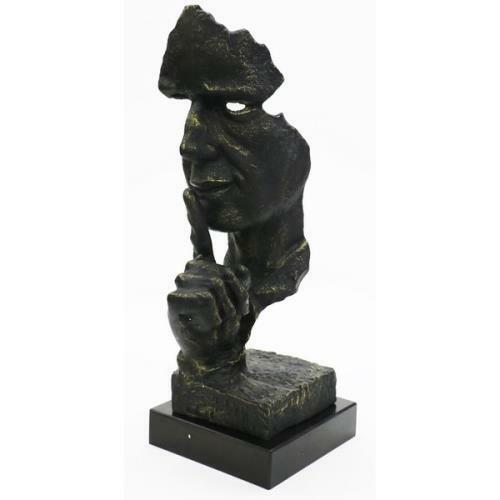 Little details like the filigree and detailed designed facial expression make this bronze a real high quality product. 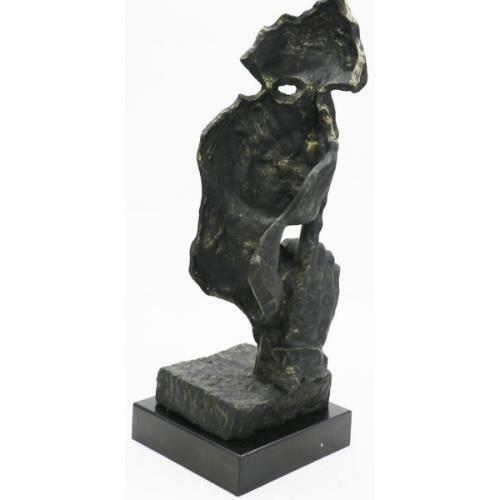 Bronze Dimensions with Marble Base: Height 28 X Width 10 Inches. 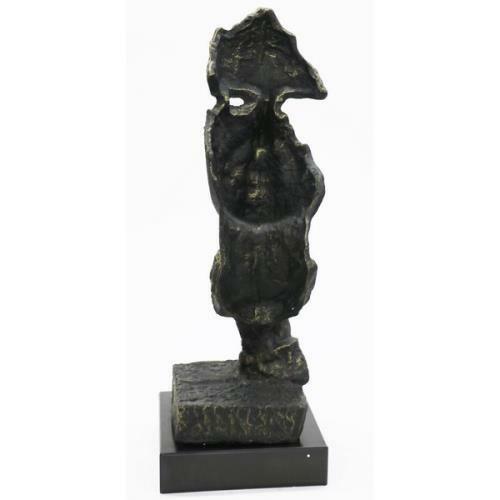 Weight: 30 LBS.